In 2015, Dr. Adam Wadlington does a well-child checkup on 6-month-old Jerriah Hassell at Deaconess Family Practice in Evansville, Indiana. ABERDEEN PROVING GROUND, Md. 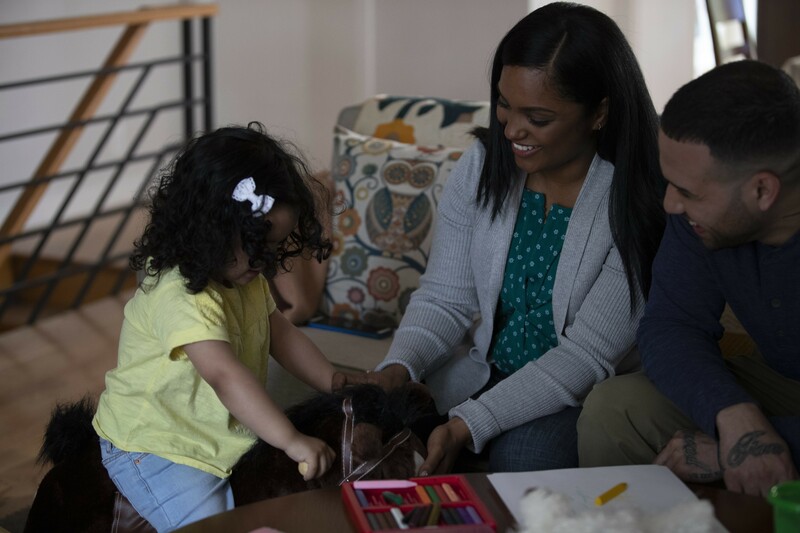 — The U.S. Army Medical Command is establishing a Housing Environmental Health Response Registry to address housing health or safety concerns of current or former Army housing residents. 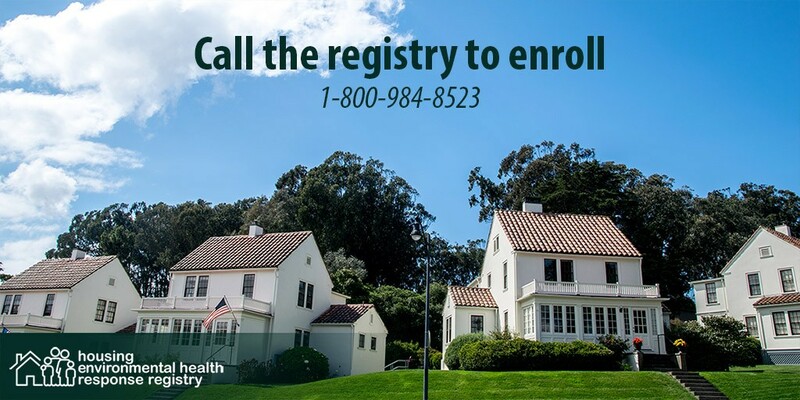 The registry will allow the Army Public Health Center to provide current or former residents information on environmental health hazards, assist them in seeking medical care for any housing-related illnesses or concerns, and serve as a two-way exchange of information for all potential enrollees. APHC provides continuously updated online health information and resources on mold and lead for service members, Families, civilians, contractors and healthcare providers. The information includes background information on how these hazards can be introduced into the environment as well as strategies for prevention. For information about the registry as well as links to community resource guides and housing hazard information, please visit: https://phc.amedd.army.mil/topics/campaigns/housing/Pages/HEHRR.aspx. The Army Public Health Center focuses on promoting healthy people, communities, animals and workplaces through the prevention of disease, injury and disability of Soldiers, military retirees, their Families, veterans, Army civilian employees, and animals through studies, surveys and technical consultations. Google’s Digital Wellbeing gives us an eye-opening look at our app and screen usage. Jack Wallen discusses its features and explains why this tool is more important than ever. Wi-Fi’s ubiquity in modern society has prompted a reactionary response among an increasingly vocal minority who claim Wi-Fi signals are hazardous to their health, a condition they call “electromagnetic hypersensitivity.” Such claims are unsupported by scientific research, according to Kenneth R. Foster, professor emeritus of bioengineering at the University of Pennsylvania, in an article for research journal Education Next published Tuesday. Claims of adverse health effects from Wi-Fi, and other radio frequency (RF) signals, rely heavily on the colloquial use of scientific terms. Opponents of Wi-Fi quite often bandy about “radiation,” which average people associate with nuclear accidents or overexposure to X-rays. Scientifically, radiation is defined as “energy moving through space,” and Foster notes that “even light from a flashlight is a form of radiation.” The key differentiator is that RF signals are a form of non-ionizing radiation, which is unable to damage cells and tissues. The RF signals generated by Wi-Fi, Bluetooth, or phone antennas in any given device sold legally in the US is subject to testing and licensure from the FCC to ensure they conform to safety limits. The FCC’s regulatory threshold is “far below any demonstrably hazardous exposure level,” according to Foster. Wi-Fi signals represent a relatively minimal amount of the total RF exposure that people are subject to in any given day. The University of Barcelona conducted a study measuring RF exposure of 529 children ages 8 to 18 living in Europe, over a three day period. Wi-Fi signals represented only 4% of total RF exposure, with 62% originating from signals from cellular base stations, 23% from broadcast TV and radio systems, and 11% from nearby cell phones. The exposure was approximately 0.001% that of the safety limits imposed by the European Commission, which are similar to those imposed by the FCC. (CNN) Hey, sleepyheads. What you believe about sleep may be nothing but a pipe dream. If the outbreak doesn’t get under control, this year could surpass the 2014 high of 667 cases since measles was eliminated from the United States in 2000 (SN Online: 11/30/18). Elimination means that the virus is no longer endemic, or constantly present, though it can still be brought in by overseas travelers. Internationally, outbreaks are ongoing in Ukraine, Israel, the Philippines and Brazil, among other countries. Imported disease is the just the spark. What’s fueling measles outbreaks in the United States are pockets of vulnerability in the country, especially within states that have made it easier for parents to skip vaccinating their children. As public health officials grapple with containing the disease, here’s the lowdown on this not-so-conquered virus. The first signs of an infection include a fever and cough, followed about four days later by a rash of flat, red spots. There’s no treatment for measles, other than managing symptoms with fever reducers, for example. Those who have been exposed to the virus but aren’t immunized can get vaccinated within 72 hours to protect against the illness. A single person with measles can infect up to 18 others who haven’t been vaccinated. That makes measles more contagious than smallpox or the flu. The measles virus, which invades a person’s throat and nasal cavity, is spread through coughing and sneezing. It can also linger on surfaces or remain in the air for up to two hours, meaning one can enter a room after an infected person left and still be exposed. The virus usually has a head start over health officials, because an infected person can begin spreading the virus before being diagnosed, which typically happens once the rash shows up. “There’s this four-day window before you got the rash where you’re infectious,” says Daniel Salmon, who heads the Institute for Vaccine Safety at Johns Hopkins Bloomberg School of Public Health. To prevent an outbreak of measles, defined as three or more cases, a community needs to maintain herd immunity (SN: 11/11/17, p. 12). That means having enough people vaccinated that the pathogen runs out of new people to infect and transmission dies out. Because measles is so contagious, around 92 to 95 percent of a community must be vaccinated to preserve herd immunity. This protects infants, who aren’t typically vaccinated against measles until their first birthday, as well as children whose immune systems are suppressed due to cancer treatments. The outbreaks this year — there are currently five ongoing in four states — aren’t entirely surprising. Like past outbreaks, they are hitting areas where too few people have been vaccinated to maintain herd immunity. A few of the areas that have experienced outbreaks are in states that allow non-medical exemptions for vaccines otherwise required for children to start school. Of 18 states that have such policies, 12 have seen rising numbers of vaccine exemptions since 2009, Hotez and his colleagues reported in PLOS Medicine in 2018. “Measles tends to be a good biomarker of declines in vaccine coverage,” Hotez says. Measles primarily hits those who aren’t vaccinated, but having pockets of low vaccination can also put those who are vaccinated at risk. Of the 1,416 measles cases reported from 2000 to 2015, more than half, or 804, were in people with no history of measles vaccination, Salmon and colleagues reported in 2016 in JAMA. And 199 cases were in people who had received the vaccine, which provides a very high, but not absolute, level of protection. Could measles again become endemic in the United States? The United States could lose its status as a country in which measles has been eliminated if the virus continues to circulate in an area for at least a year. In that case, measles would be considered endemic again. “That’s the big concern,” Salmon says. To prevent that, the population as a whole has to be vaccinated at a level to establish herd immunity everywhere, health officials say. BUTEMBO, Democratic Republic of Congo—The smell of burning plastic and the clatter of gunshots caught Pamela Kiyangaliya in the shower, where she was decontaminating after a long day of treating patients in what has become the second-deadliest Ebola outbreak in history. Pulling on her scrubs, Ms. Kiyangaliya watched the tented roofs of the makeshift treatment center erupt in flames. Doctors and patients sprinted toward her, shouting. Behind them raced a group of men firing AK-47s. Fracking has been linked to preterm births, high-risk pregnancies, asthma, migraine headaches, fatigue, nasal and sinus symptoms, and skin disorders over the last 10 years, according to a new study. Fracking, also known as hydraulic fracturing, is a process of extracting oil and gas from the Earth by drilling deep wells and injecting a mixture of liquids and chemicals at high pressure. The study, which was published in the Oxford Research Encyclopedia of Global Public Health in February, looked at several hundred scientific articles about the community and health impacts of fracking. The researchers focused on the design of those studies to ensure that the ones they included in their study were scientifically valid, then summarized what’s been learned about the industry in the last decade. “What we found pushes back against the narratives we often hear that say we don’t know enough about the health impacts yet,” Irena Gorski, co-author of the study and an environmental epidemiology doctoral candidate at the Johns Hopkins Bloomberg School of Public Health, told EHN. “We have enough evidence at this point that these health impacts should be of serious concern to policymakers interested in protecting public health,” Gorski said. She added that, while they found a number of documented health impacts, the ones with the most evidence for concern are negative impacts on pregnancy and birth outcomes. Evidence suggests women living closer to fracking have increased odds of having a baby with lower-than-average birth weight; of having a high-risk pregnancy; or having a baby with a low infant health index. Gorski and her colleagues also investigated the extent to which the studies they reviewed included metrics like the proximity of wells to residents, the phase of fracking the wells were in at the time of the study (active drilling versus ongoing production, for example), and the likelihood that non-fracking activities impacted their findings. The researchers noted in the study that it’s still too early to study some health impacts, like cancer and neurodegenerative diseases, because they take a long time to develop. The researchers also looked at studies on the industry’s effects on drinking water, air pollution, land use, earthquakes, and climate change to assess how those impacts might also affect health. They found evidence that water pollution, air pollution, and soil contamination caused by the industry have been linked to adverse health impacts through both exposure to toxic chemicals released during fracking, and through increased stress and anxiety caused by the increased light, noise, and truck traffic associated with fracking. They also found some surprising evidence of the industry’s effect on climate change. She pointed to several studies suggesting that if fugitive emissions of methane from the equipment used to transport and store natural gas exceed more than 3 percent, natural gas use would have a greater climate change impact than coal. She also said there’s evidence to suggest that the industry’s methane emissions well exceed that 3 percent. The impacts of climate change on health include heat-related illness and death, increased respiratory diseases, increases in insect-borne diseases, increased mental health impacts from forced migration and civil conflict, and health impacts from severe weather events. A separate forthcoming study, slated for publication in the journal Ecological Economics, found that ethnic minorities, especially African Americans, disproportionately live near fracking wells. Gorski said we should require more evidence of the industry’s societal benefits, as opposed to requiring more evidence of its negative impacts, to determine the pace of expansion for the industry.